Today I'm announcing a SPRING SALE. There is snow on the ground here but I just know spring is right around the corner so I'm celebrating! I've created a new category on the site called "SPRING FLING." In it you'll find items to celebrate the colors and holidays of this upcoming colorful time of year. 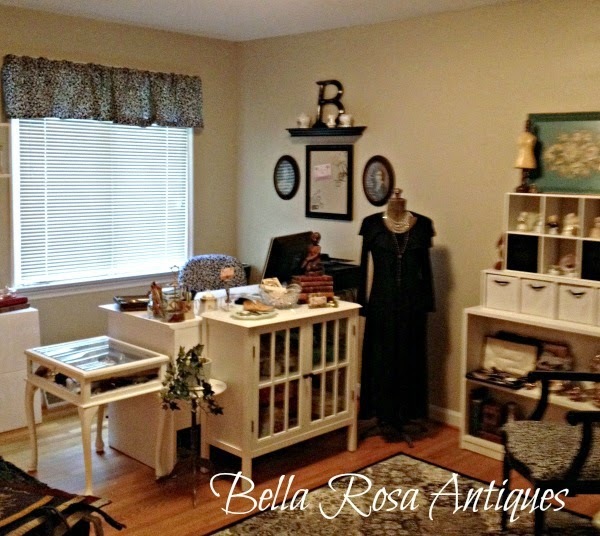 Vintage china covered in florals, Belleek shamrock vase, Easter greetings, and more! I've also just listed a few items. 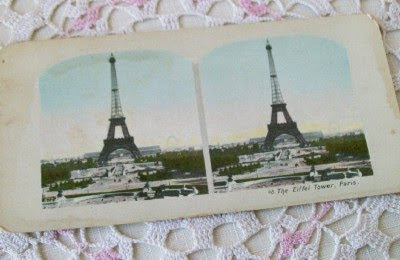 Love, love, love this Eiffel Tower stereoview card. 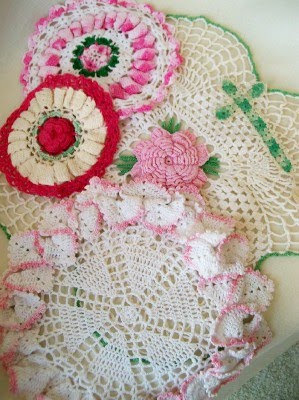 Pretty pastel doilies and crocheted items. Miniature child size green "Depression glass." A collectible from the sixties or seventies. 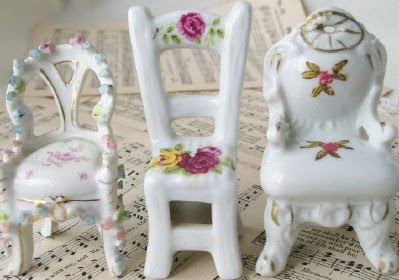 Ooooh... this mini chair trio is one of my favorites this week. I even added the chair in the middle which I found at the Paris fleamarket on my honeymoon. It seemed silly to just sell two chairs. Three makes it better! 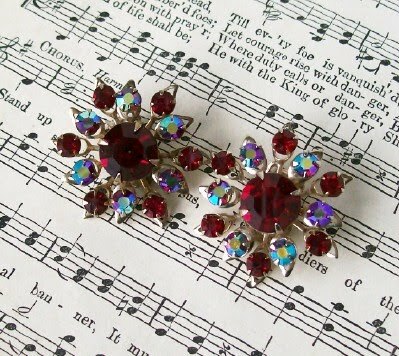 Pretty red rhinestone and aurora borealis earrings. 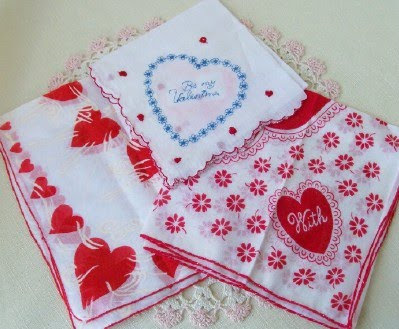 A little late but Valentine hankies are not that easy to come across, so I've added them to this week's selection. I also think these are great! Makes me hungry just looking at them because it makes me think of my time spent in Tuscany. The food there was delicious. 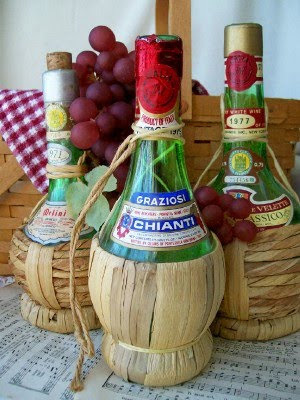 These vintage chianti bottles make great decorator pieces. Two categories to check out this week. 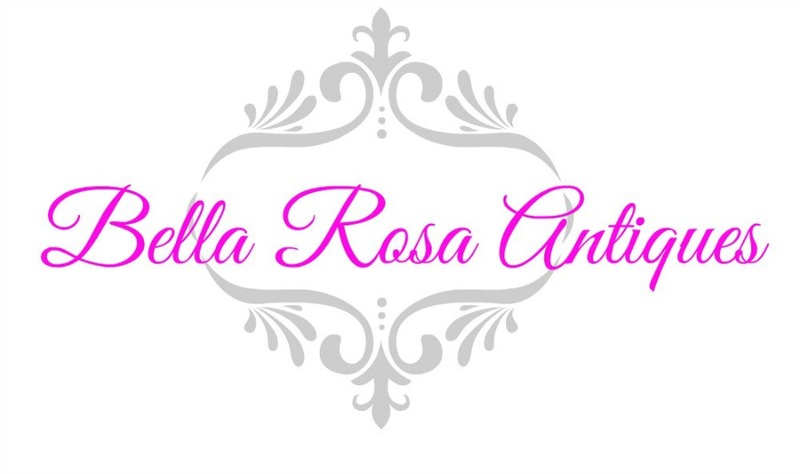 JUST LISTED and a SPRING FLING sale! My favorite photo is of the 3 chairs! I'm restraining myself from the temptation of joining the miniature collectibles ranks! You have gathered some very pretty and interesting things to showcase today. The three chairs are so sweet and I do like the child's set of green depression ware. Good choices! 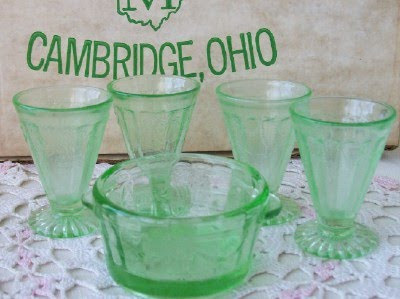 love the little depression glass set!